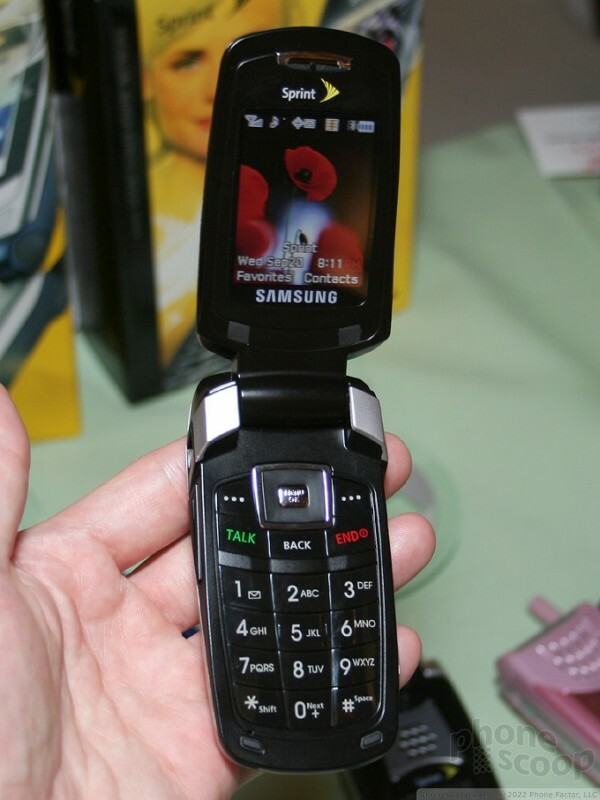 Hands-On with the new Samsung M500, D900, C417, Trace, Sony Ericsson W710, Jitterbug, Wherify Wherifone, and LG LX-150. 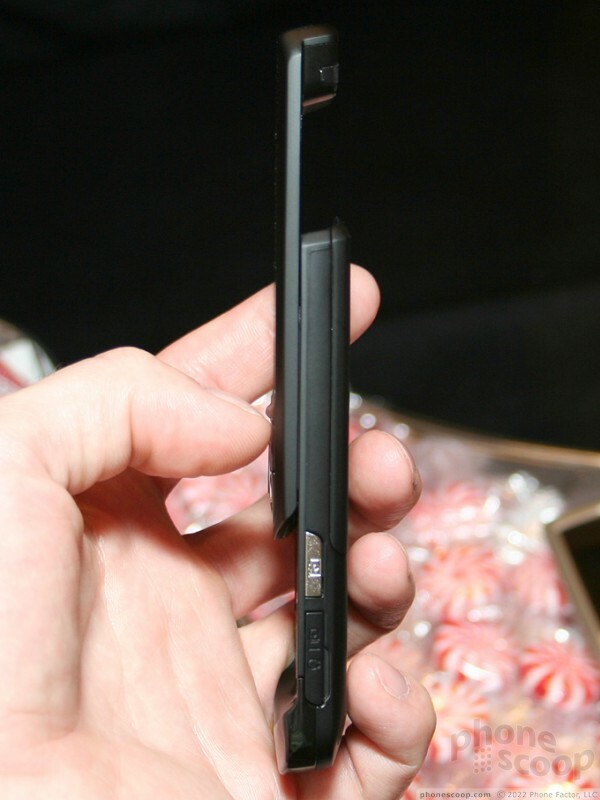 This week in New York City, the tech press was given a sneak peek at the new gadgets coming out this holiday season. Phone Scoop was there, and we spotted some neat new phones from Samsung, Sprint Nextel, Sony Ericsson, GreatCall, and Wherify. 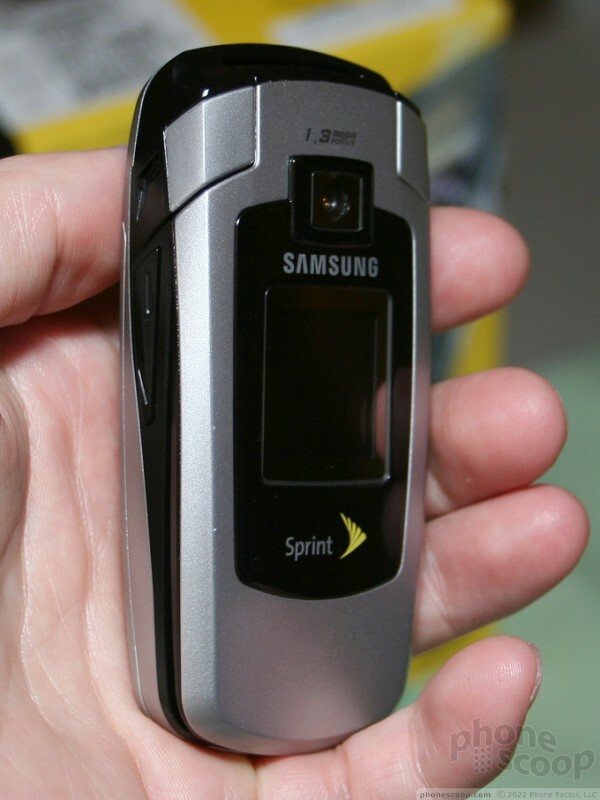 The sleeper hit of the show for me was the Samsung M500 for Sprint. It's a phone that's been rumored for a while, but this week was my first chance to try it in person and see official specs. 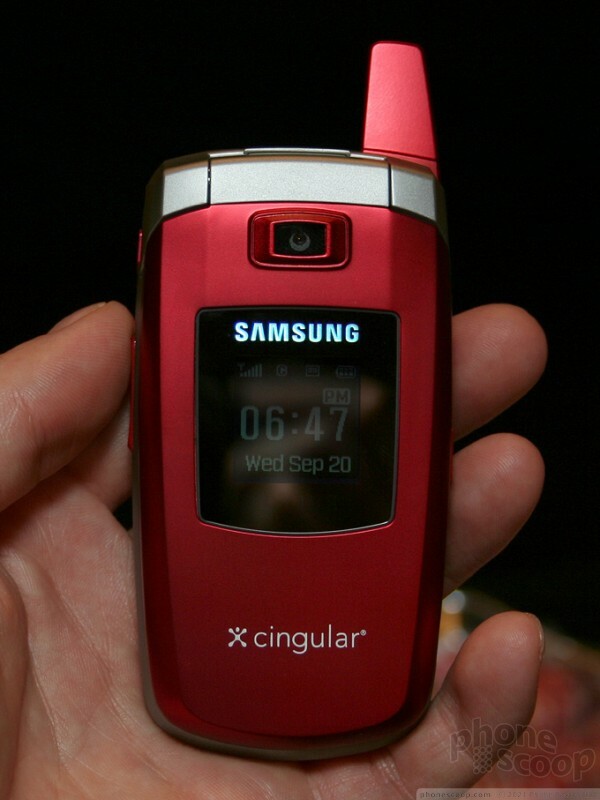 At first glance, it looks a little like the new C417 for Cingular, and almost exactly like the T619 for T-Mobile. 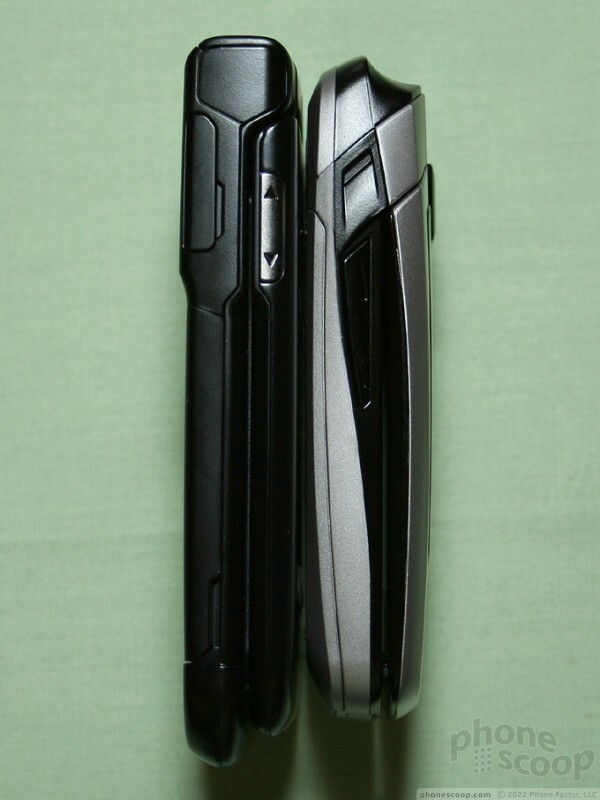 The T619 and M500 are clearly based on the same design, which is also the same as the E380 for Europe. 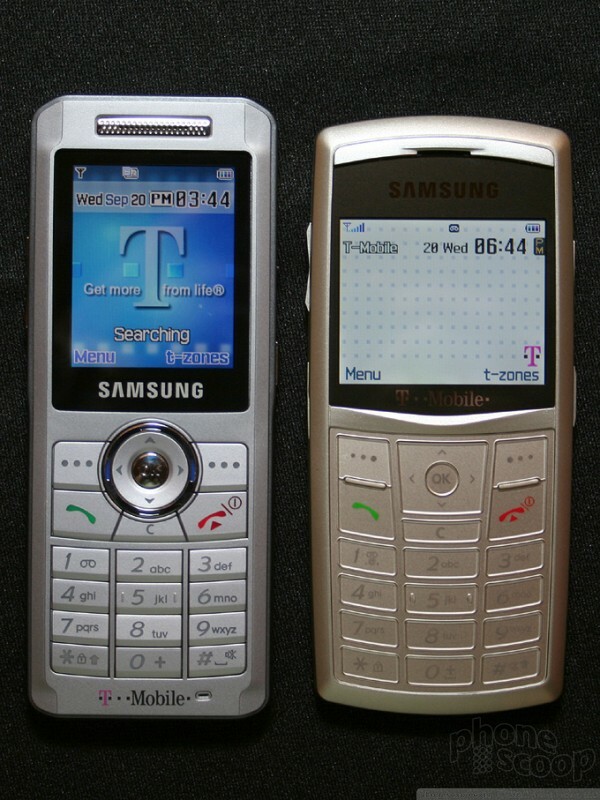 Looks are where the similarities end, however, since the M500 is significantly more feature-laden then its GSM cousins. 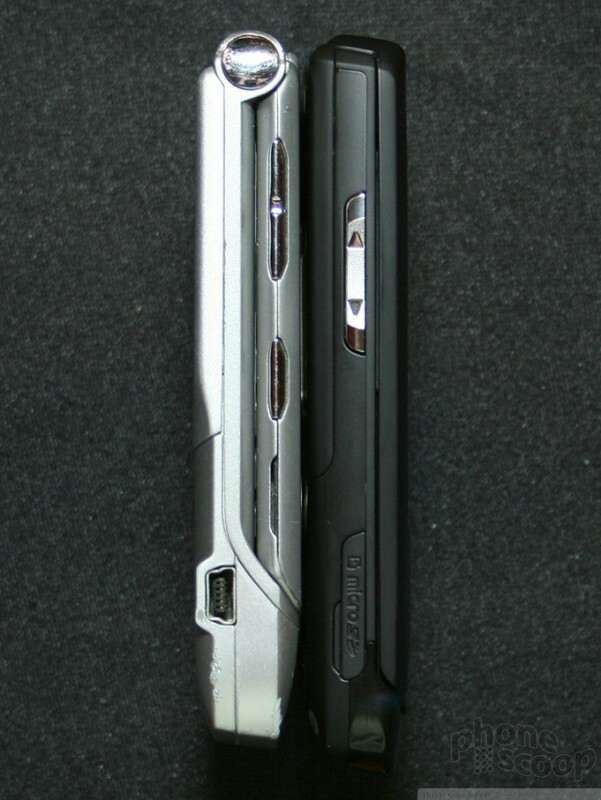 Features in common between the T619 and M500 include the same thin, light design, a megapixel camera, and stereo Bluetooth 2.0. Both also have a 176 x 220 main display, capable of 262,000 colors. The only downgrades are the lack of external media controls, and a step down in display resolution. But given that it should sell for about half the price of the A900, it seems like a fair trade-off. The one advantage of the T619 is that you can buy it now. The M500 won't hit shelves until early November. 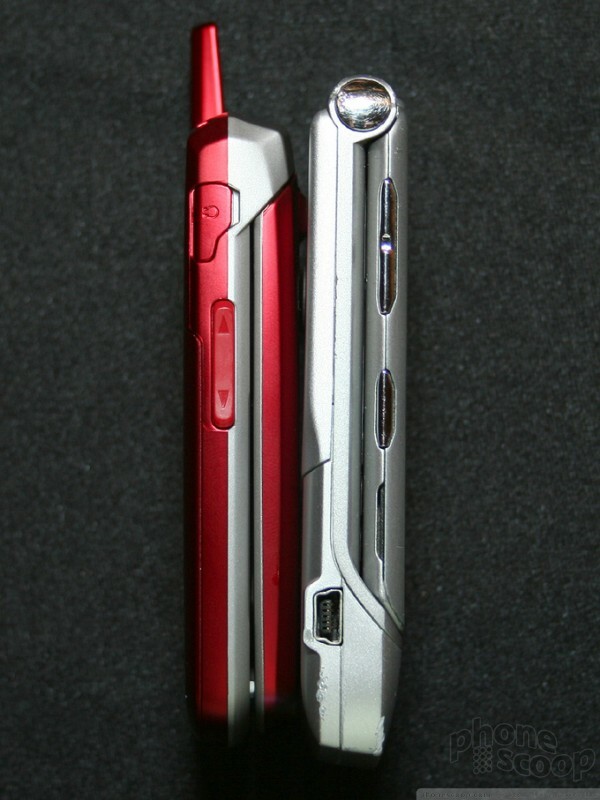 The M500 will come in both silver and a festive red color for the holidays. Red seems to be the color this season, or at least Samsung thinks so. It's not just a holiday color, though. 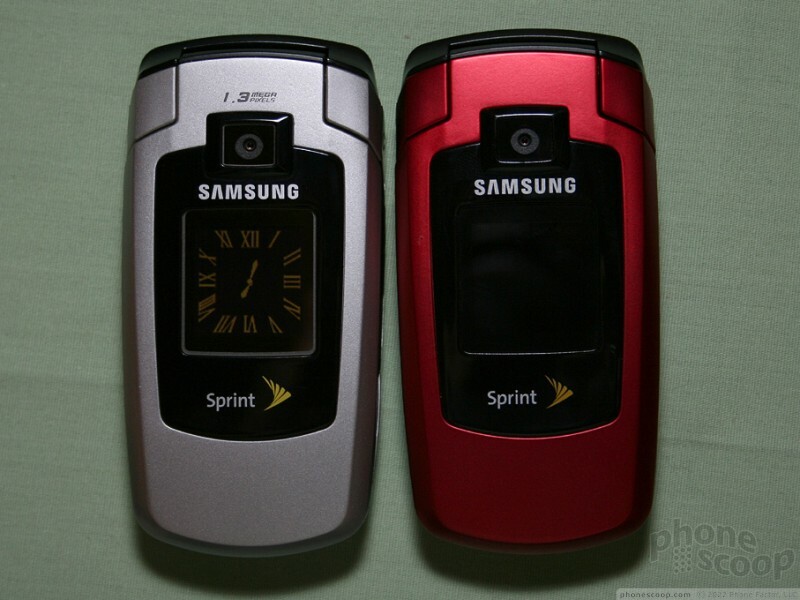 I can see these red phones being appropriate for Valentine's Day as well. 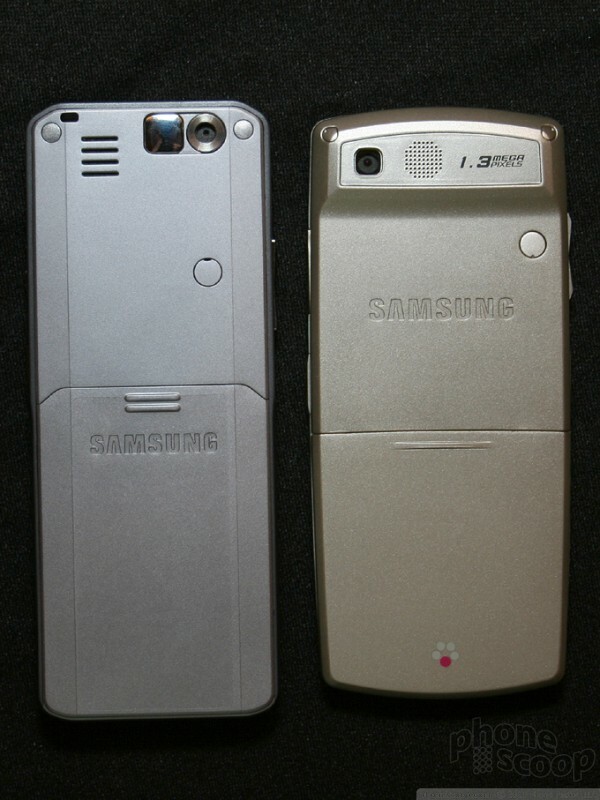 A stripped-down phone like the C417 is a good example of the kind of phone that Samsung's carrier customers are asking for, even though Samsung would much prefer to show off its technical prowess by bringing us more advanced phones. Which is exactly why Samsung has decided to take a page from Nokia's playbook and bring a true flagship phone directly to tech-savvy U.S. consumers, bypassing the usual carrier channels. Although they aren't opening up their own stores just yet, Samsung will start selling their impressive D900 flagship phone to US consumers via samsung.com by the end of the year. The D900 was recently released in Europe, and is unquestionably their flagship GSM phone for this year. 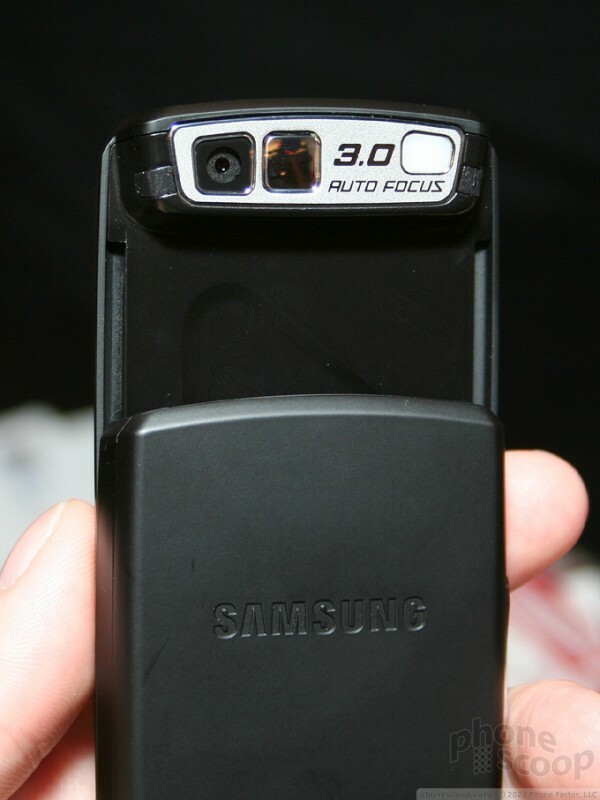 While Nokia and Sony Ericsson currently have flagship phones with 3 megapixel auto-focus cameras, only Samsung's D900 has that feature while also being about the size of a Motorola RAZR. 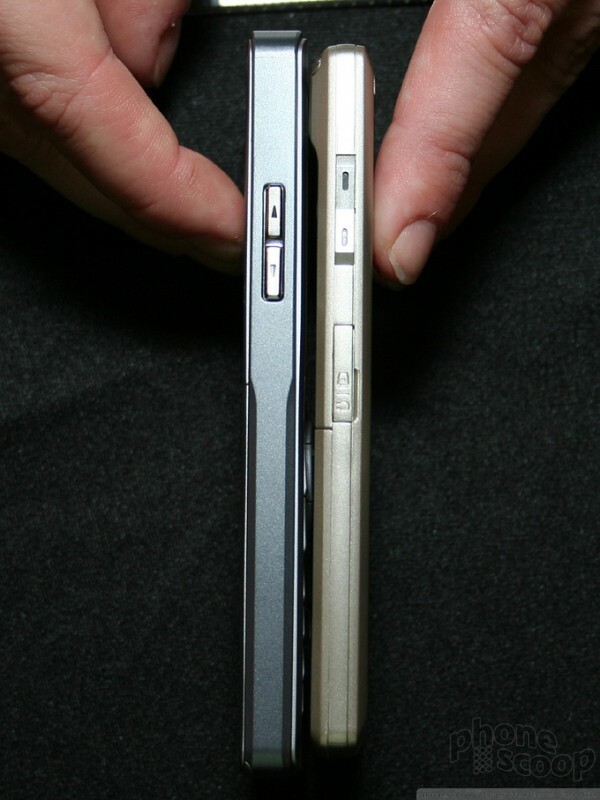 The N73 and K790 don't even come close in size. The D900 also has just about every other feature you can possibly imagine, and it has a remarkably light, yet high-quality feel to it. The version specifically for the U.S. will carry the moniker "Black Carbon". Samsung suggested that Black Carbon might have a few tweaks compared to the stock D900 for Europe, although we got the impression it would mostly be the same phone. 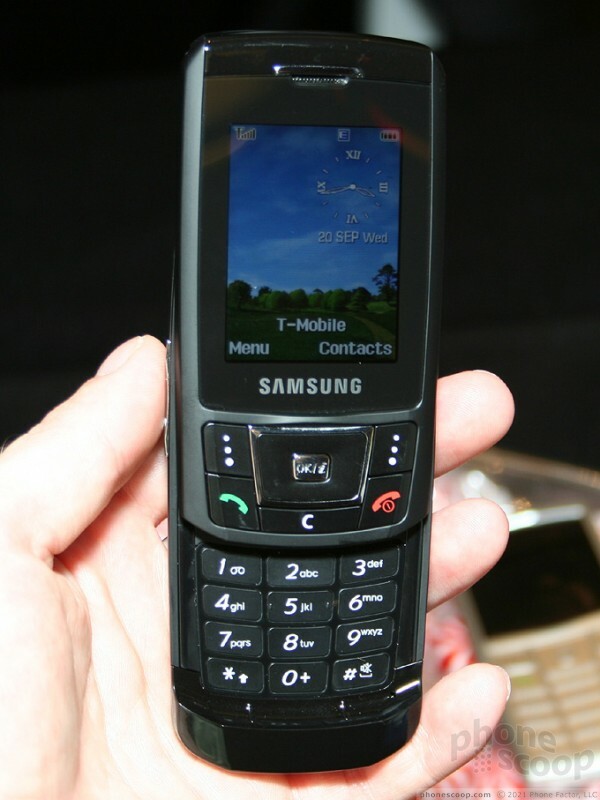 Another remarkable engineering feat from Samsung is the T519 Trace, just launched by T-Mobile. 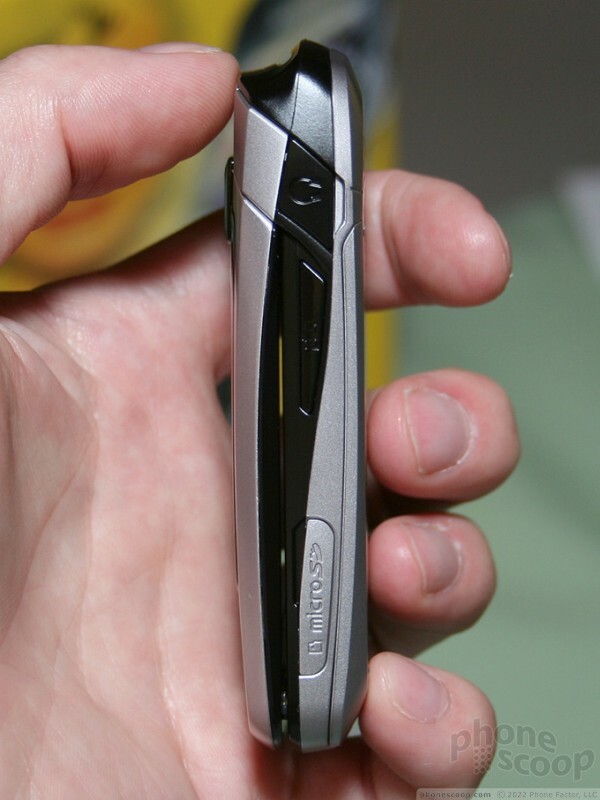 Despite being much, much thinner, it actually feels far more solid than its predecessor, the T509. 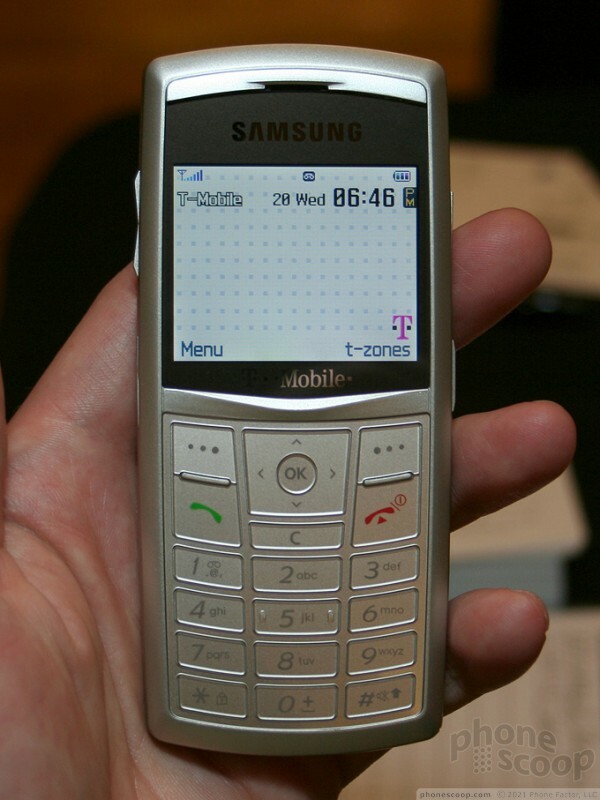 The T509 had a distinct plastic-y feel. Like the X820 for Europe upon which it is based, the Trace is just impossibly thin. 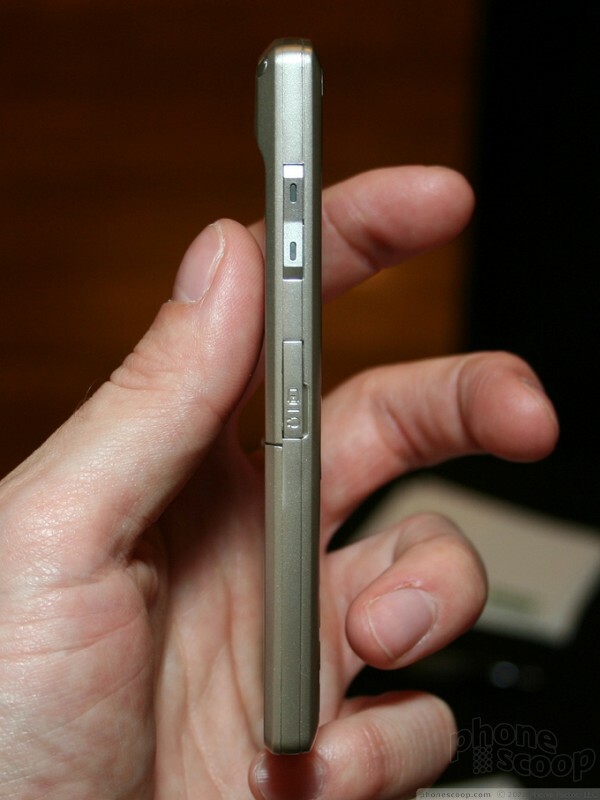 It's the world's thinnest phone available today, although anyone who holds it in their hand doesn't have to be told that; it's so impossibly thin that it doesn't seem a phone could be any thinner. 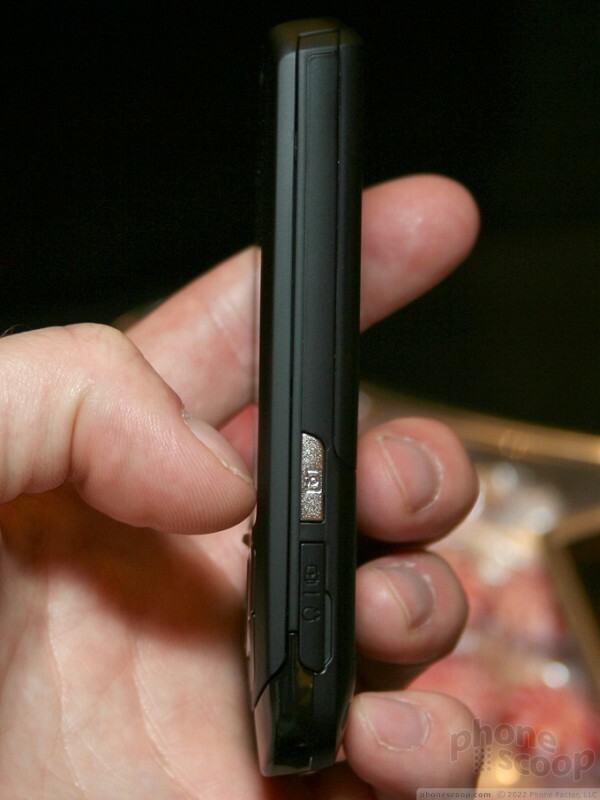 While phones for the U.S. based on European models often lose a few features in translation, the Trace actually gained a memory card slot that the X820 lacks. 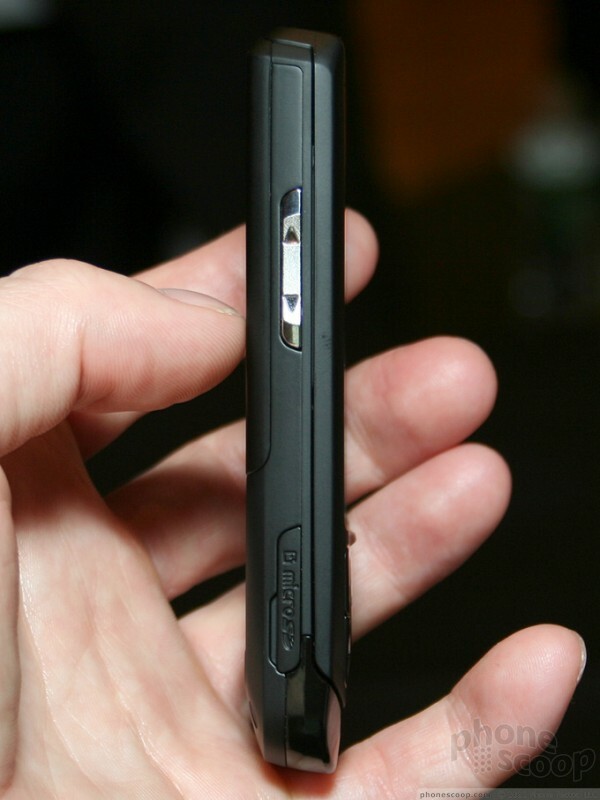 The camera does step down to 1 megapixel from 2, but I imagine most users would rather have the memory card slot. 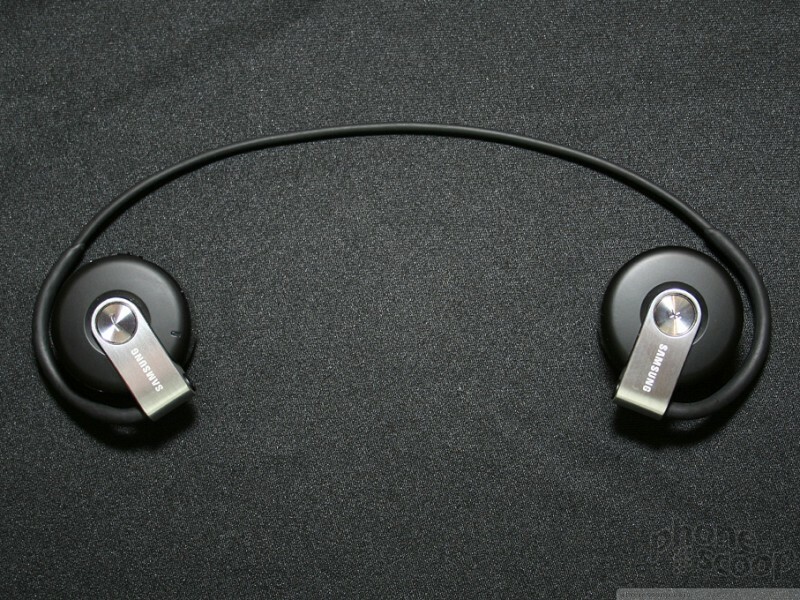 EDGE data and Bluetooth round out the key features. 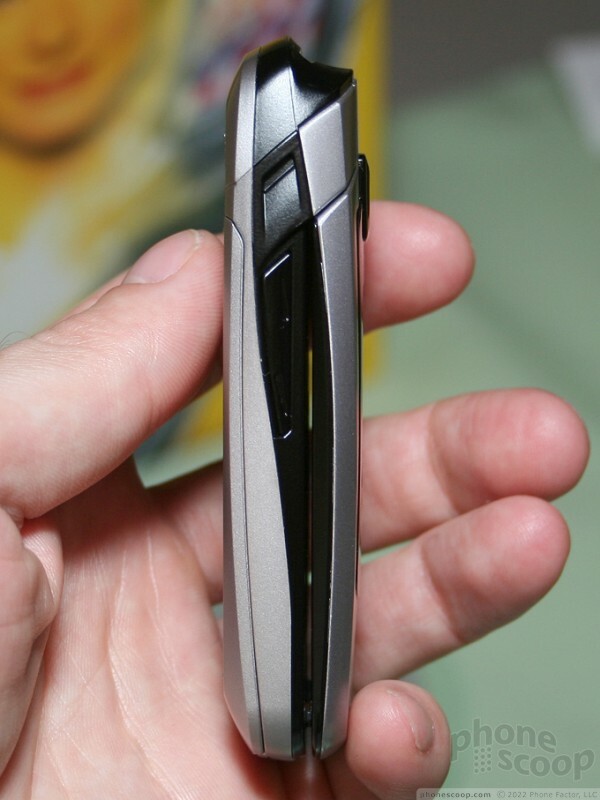 The Trace feels surprisingly solid for something so thin. Although the keys aren't the best, they are perfectly usable, providing adequate tactile feedback. The display is impressively large, bright, and colorful. The SBH-170 has a wire loop that fits snugly behind the head when worn, and coils up neatly for tucking away when not in use. * Corrected Sept. 24 in regard to external display type. Our complete hands-on review of the Jitterbug phones and service for older users. Includes video tour. 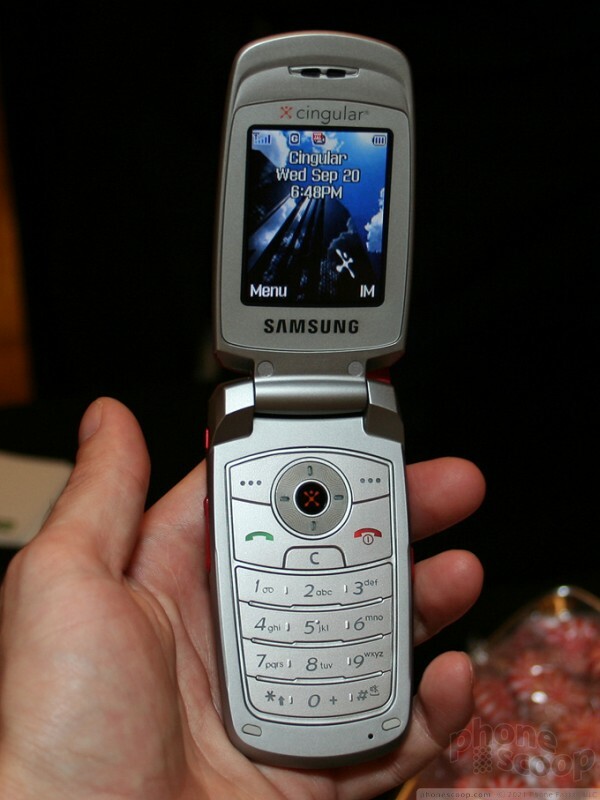 On-the-scene coverage of CTIA Wireless 2006. Exclusive photos and hot info from Las Vegas. The Jitterbug Smart2 for GreatCall may be an Android smartphone, but the interface has been simplified so your older relatives can handle it. It also gives the elderly access to select healthcare services directly from their phone. Google today made the fifth and final preview of Android 7 Nougat available to app developers and beta testers. Google says devices that are enrolled in the beta program should be able to update to the newest preview right away. 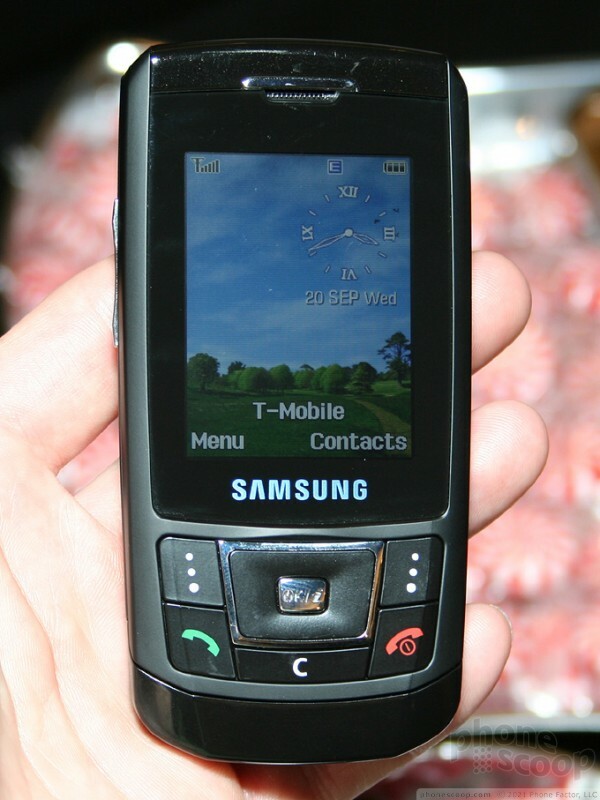 GreatCall recently announced the Jitterbug Smart2, a new version of its smartphone for seniors. The phone is based on Android, but GreatCall has completely overwritten the user interface with its own software that was designed specifically for ease-of-use. Looking for smartphone compatible with verizon. I'm looking to purchase a smartphone or something that is very compatiable with outlook. The best one would be a small flip phone - have a speakerphone and bluetooth. 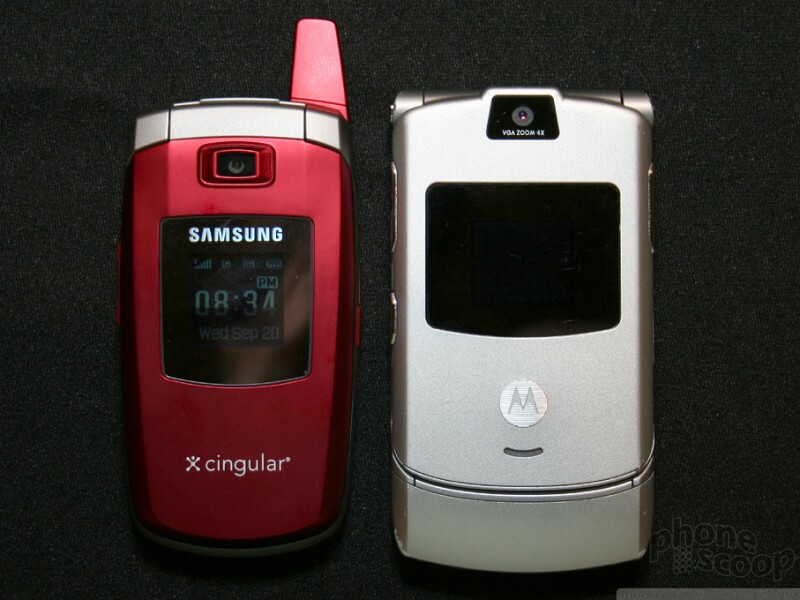 I am currently using verizon and would like to continue but the only thing I see is the cingular star trek phone. Are there any other alternatives coming out? 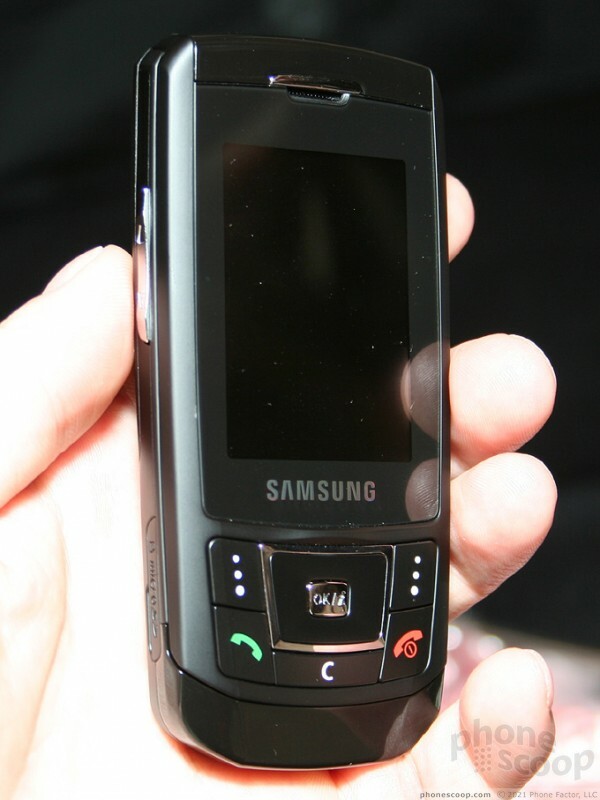 look at a Samsung i600 on Ebay. 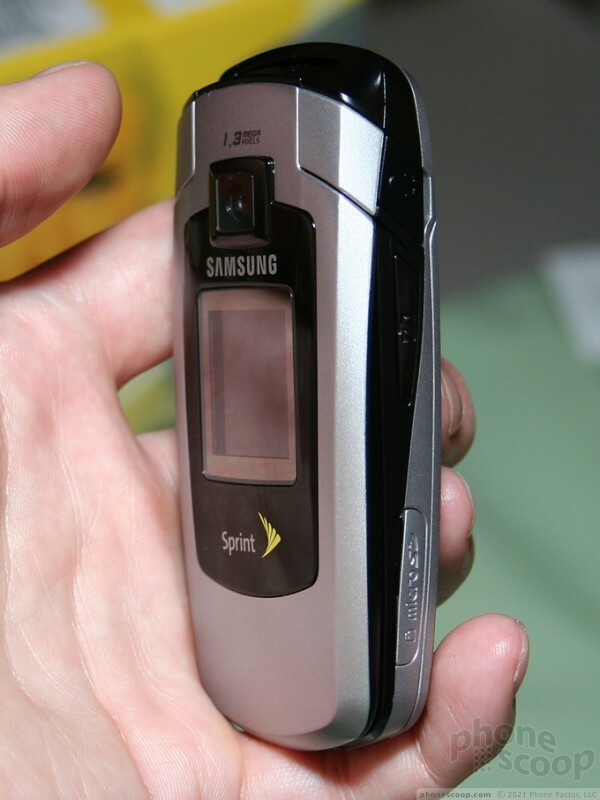 The Jitterbug phone looks like a toilet!! No mention of the MOTORAZR V3xx or Max??? I just wonder since they were suppose to come out the fourth quarter of 2006. 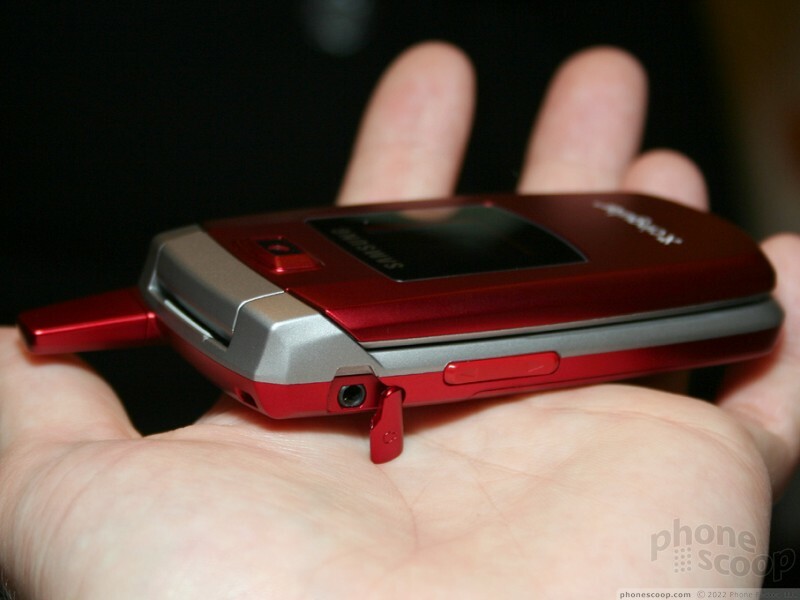 Motorola was not even mention other then using the Razr as a comparison. I think the preview is faulted; in that they did not cover all the manufacturers and to leave out Motorola; the leader it pretty biase review in MHO. The only one that caught my attention was the D900. Otherwise the rest is garbage. Even my beloved Sony Ericsson failed to grab my attention. Sad ☹️ Where the hell was Nokia? Agreed. 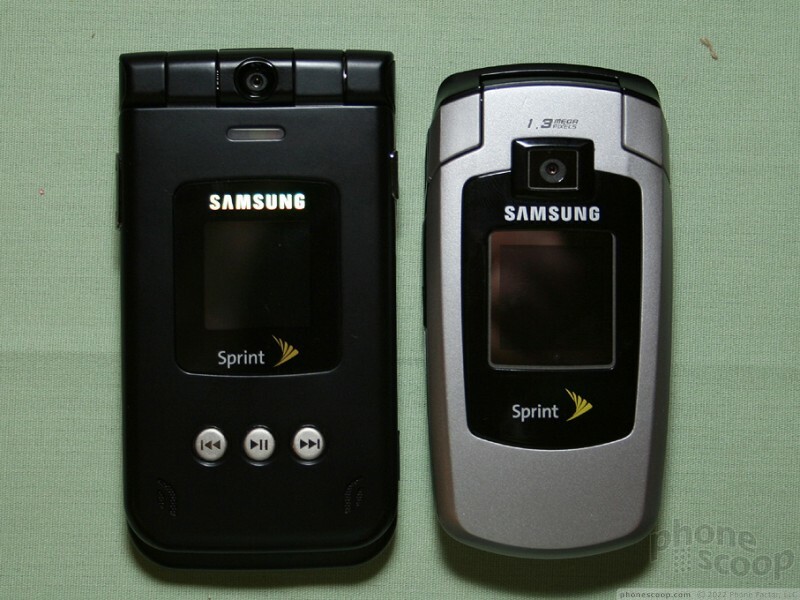 When in the hell is Sprint going to come out with a slick slider phone? No more of these fat phones. Damn, Sprint. Always a few steps behind. Other coming phones... Need info! 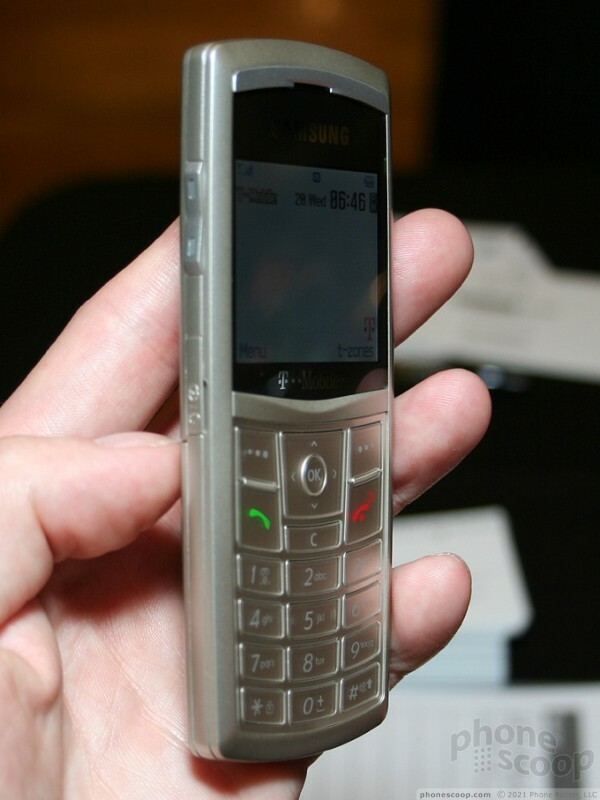 Also, any better pics of the ICY phones (hybrid cdma/iden phones) would be good too. 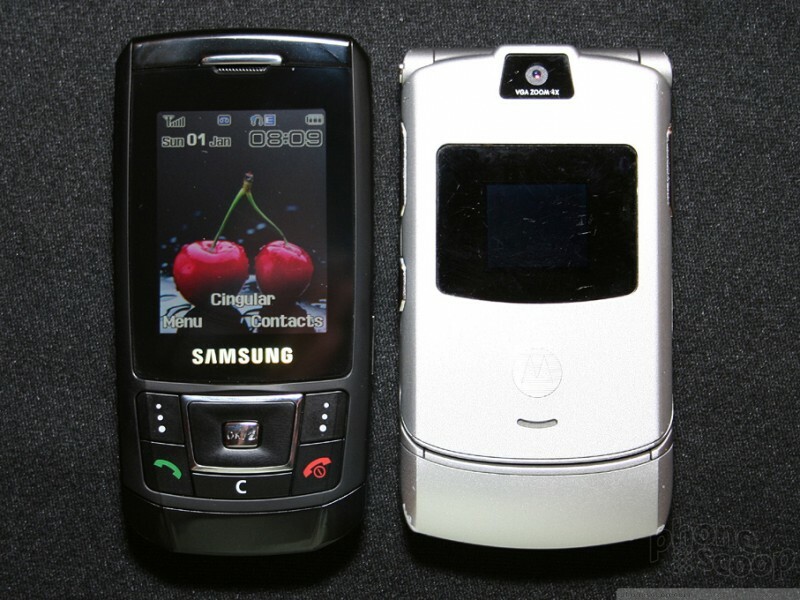 Man if that M610 has a 320x240 screen and can do mp3 thats the phone I want and badly ! Hopefully they can improve on the a900's battery life! Does anyone know if verizon might get a phone like this... i adore the pink 150 its like the 7000 only better... is that a rotating camera??!! Pre-Preview? When is the holiday preview? How can this be a pre-preview, does this mean that there is a Holiday Preview coming before Mid-October? I'm not sure, but I think that's just the accessory / data port. 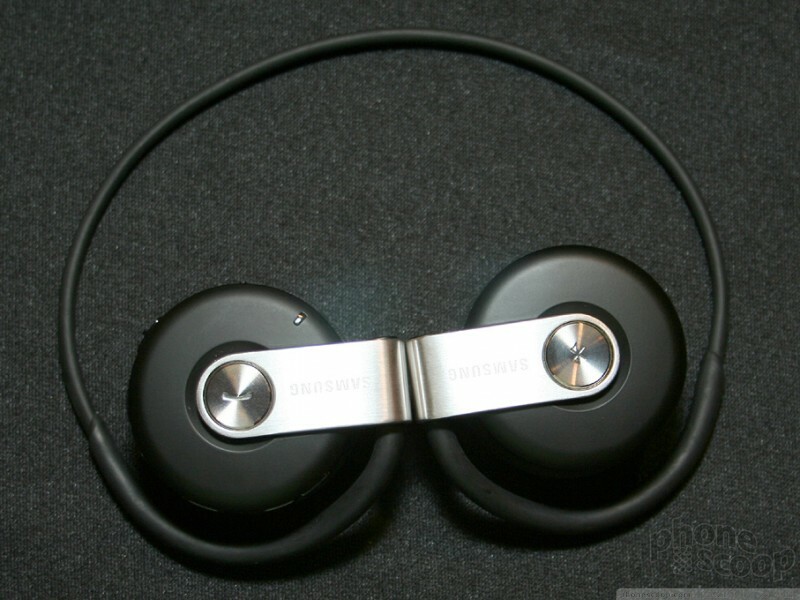 It seems that no new Samsung handsets being released from this point on have status LEDs. Is this a cost cutting measure? How expensive can a few LEDs cost...? 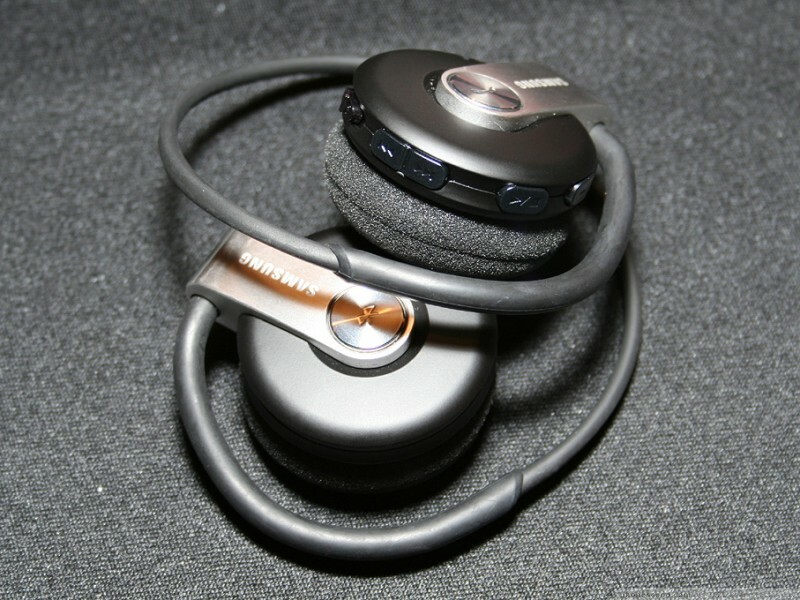 what about the SBH-170 stereo bluetooth headset?? when are they coming out? and how much will it be?? or is it available right now already? who's going to carry the D900? t-mobile? It won't be coming to a carrier. Samsung will be selling it direct, via samsung.com. That was sort of the point of the whole D900 part of the article. Sorry if that wasn't clear. 710 SE looks pretty nice. available yet?